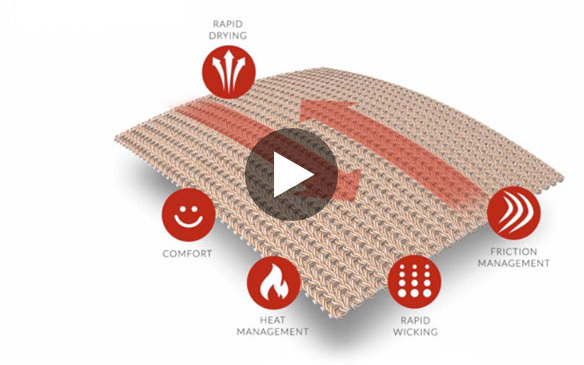 RAPIDriCOPPER™ technology reduces body heat by decreasing the skin to fabric friction while at the same time moving moisture faster over the PTFE fiber matrix causing the fabric and skin to stay dryer and cooler. The ionic copper fiber matrix reduces odor causing bacteria while helping to promote skin wellness and a healthier environment for the skin. 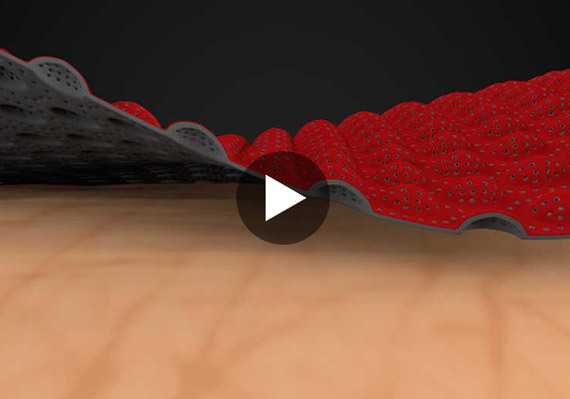 At XOSKIN™ we are experts at taking breakthrough fiber technologies and engineering those innovations into a sophisticated construction that integrates the body into its sporting environment, dramatically improving performance and comfort in all seasons and for all athlete’s. matrix causing the fabric and skin to stay dryer and cooler. The PTFE also improves abrasion properties that can lead to lower fabric weights achieving enhanced performance standards. The ionic copper fiber matrix is effective in all climates especially when moisture is present. The copper ions help reduce odor causing bacteria while helping to promote skin wellness and a healthier environment for the skin. The 3D wave-like XO-AirChannelDUCT™ construction on the outside in the shoulder, arm area and sides helps disperses the pressure from a back pack or jacket over a wider surface area. The inside ducts act like a bridge creating maximum air flow allowing sweat to be effectively ventilated by thermal dynamics in warm or cold weather. During rest and recovery periods the inside ducts trap warm air released by the body providing a layer of insulation that helps reduce the risk of post chill after your activity. The 3D XO-SHIELD™ System provides sweat traps and inner and outer air flow channels providing maximum ventilation and insulation to keep you comfortable and performing better. During activity a thin layer of sweat forms on the skin and any excess sweat is absorbed by the sweat traps. Sweat is evaporated by the inner and outer air flow channels for controlled and effective cooling allowing it to escape from warmer to cooler temperatures. During rest and recovery periods the inner air channel pockets trap warm air released by the body providing a layer of insulation that helps reduce the risk of post chill after your activity. 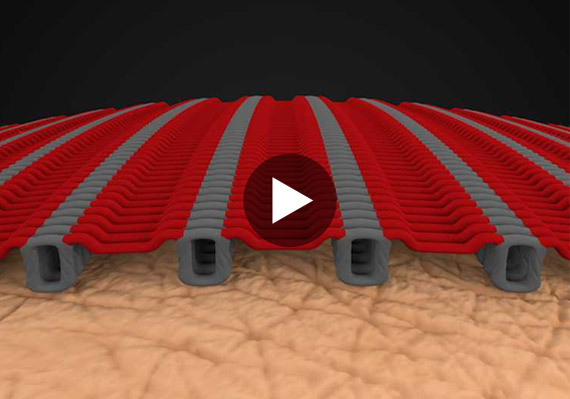 The 3D HVAC System™ provides sweat traps under the arm allowing for sweat to be quickly drawn away from the skin to the surface for fast evaporation. The unique ventilation and circulation ducts under the arm carry excess moisture away from the skin and allow for fresh air to be exchanged quickly enhancing thermal dynamics. The front and part of the sides and back have built in XO-AirFlowSPHERES™ that enhance climate control by allowing sweat to be spread rapidly over a larger surface area. With constant air flow, they keep the body cooler for quick and effective venting. The constant air flow movement draws moisture away from the skin keeping the athlete very comfortable. During rest and recovery periods the inside sphere's trap warm air released by the body providing a layer of insulation that helps reduce the risk of post chill after your activity. 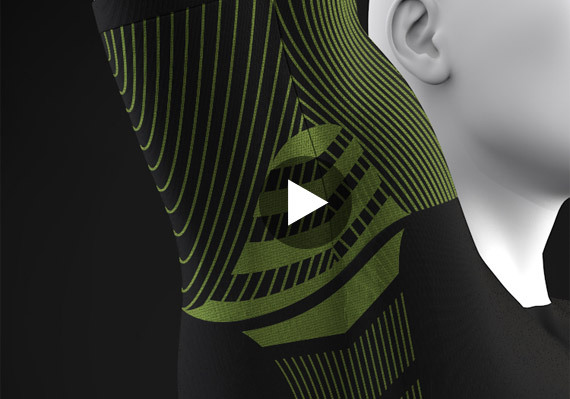 The long sleeve base layers incorporate the XO-ElbowFLEXOR™ in the elbow area to help with cushioning and insulation in the flex state of the arm during activities. 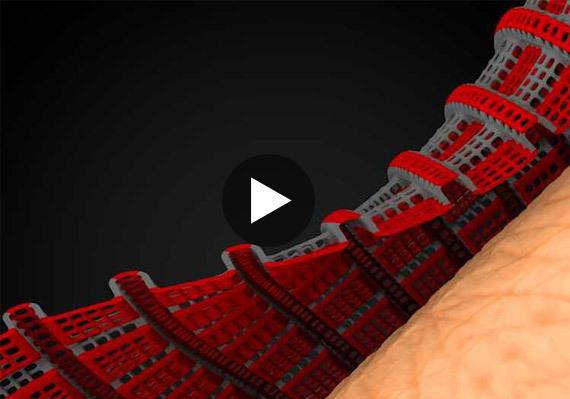 The elbow area will not be negatively impacted from the cooler temperatures once the 3D knitted structure is flexed. Complete freedom of movement. 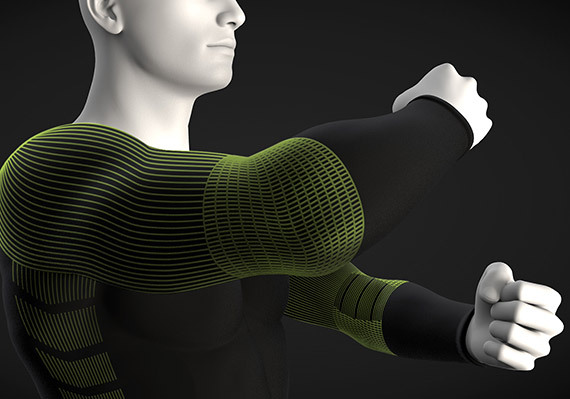 At XOSKIN™ we are revolutionizing performance apparel with ground breaking technology for your comfort. We give special attention to the weight and compressibility of the material. Our designs follow the body’s contours providing ergonomic shaping with reduced friction and enhanced movement. The trailblazing science behind our USPTO Patented RAPIDriCOPPER™ seamless innovations are reinventing how fiber, fabric and engineered 3D knitted construction function together to provide the best ultra, road and trail running base-layers, compression run shorts, capris, race and recovery compression socks and sleeves, all of which have been tested at some of the hardest races on the planet. XOSKIN™ RAPIDriCOPPER™ 3D seamless athletic sports apparel, ergonomic shaping, USPTO copper & PTFE patented fibers/yarns, USPTO design patents, short sleeve seamless, long sleeve seamless, sleeveless seamless, CAP short sleeve seamless, run seamless capri, ski seamless capri, run seamless short, unique 3D knitted structures, reduces friction and hot spots, rapid wicking and drying, inhibits bacteria and fungi, promotes skin wellness, promotes skin tone, healthier skin fabric, enhanced athletic movement.